DeMar DeRozan exploded for 15 points in the 1st quarter. 12 of his points came off of three pointers, which is a new aspect he is bringing to his game. Jerryd Bayless and Ben Simmons combined for 13 points and they were a big reason why the 76ers were winning. Robert Covington also added 8 points to the Sixers lead. Toronto was trailing Philadelphia 30-31 at the end of the 1st. Kyle Lowry and DeMar DeRozan produced a total of 15 points in 2nd quarter. Toronto was way too sloppy on offensive as they went on to turn the ball over 6 times. The Sixers took advantage of these turnovers, which gave them a 13 point lead to end the 1st half. The Raptors had some difficulty guarding the perimeter, allowing Philadelphia to knock down 5 three pointers. Toronto ended the 1st half down 52-65. Toronto came into the 2nd half fired up. The Raptors went on a 22-2 scoring run midway through the quarter, which brought them back into the game. DeMar DeRozan scored 8, while Delon Wright came off the bench and put up 12 points. Thanks to the Raptors' spirited comeback, they were able to cut the lead to just 4 points. Toronto went into the final quarter of play trailing the 76ers 86-88. Similar to every other quarter in the game, DeMar DeRozan put on a scoring clinic, this time putting up 13 points. Toronto forced 6 turnovers, which was the main reason why they were able to take the lead. The Raptors also converted 12/14 from the free throw line. Toronto's performance from the charity stripe is what sealed the win for them. The Raptors beat the 76ers 114-109. Impression: DeMar DeRozan has been putting serious work in on his 3-point shot. He made 6 three-pointers, which is a career high for him. DeRozan also put up 45 points, his new career high. 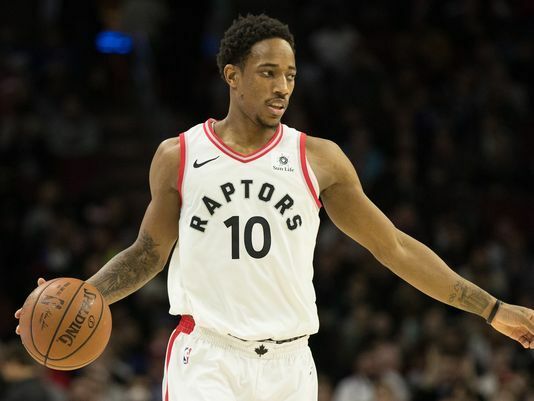 DeMar single handily led the Raptors from 22 points down at one point, to eventually winning the game.